Something new this time. I have always been interested in the physical form, the aesthetics, as well as the potential of the physical body, whether that be in art or in real life. I don’t think I’m alone in wanting to feel well; waking up in the morning looking forward to the day ahead and having the physical strength to meet the challenges of everyday life. This is not a luxury afforded to everybody but I would like to think that this blog and previous musings can help to make people more aware of the importance of health on your physical and mental well-being and alert people to events outside their normal environment and experience. So, a recent visit to the theatre to see some ballet was a new one for me. I think it was a new experience for many of the audience as well. Although having been to ballet productions in the past, this promised to be different. This was a performance by the BalletBoyz, an all-male dance troupe. To be honest, I had heard about them a while ago but forgotten any details, so when the opportunity to make a dash down the motorway to Lichfield came, both my wife, Jane and I, didn’t quite know what to expect. A quick "Google" gave us an idea but no time to think in depth whether it would be interesting or entertaining. The opportunity arose when friends suggested we might like to join them. This is what I call one of life coincidences, the seeds of which were sown in often unrelated activities in the past. Those seeds having grown in others minds, leading to a call to come and join them…. a spontaneous suggestion! Never one to miss something new and willing to experiment, this was exactly the scenario I have been working to encourage when bringing up a family of young and enquiring minds... that's a subject for another blog in the future! The evening was composed of 4 independent dance routines all choreographed and rehearsed in 14 days. 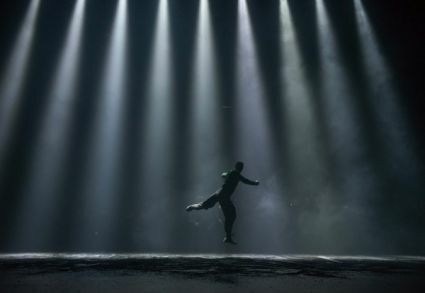 The fitness and conditioning of all the dancers was impressive and the choreography was designed to highlight the extraordinary physical effort required to perform. 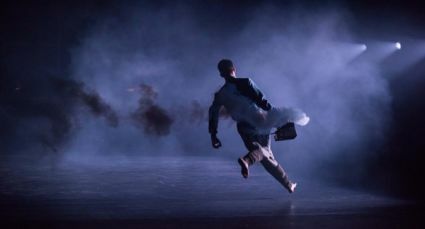 I don't make a habit of going to the theatre and it’s not my first port of call if looking to be entertained BUT on this occasion the opportunity arose and I'm really glad I went to see them perform some contemporary dance to modern music. The choreography and music was written specially for them and their obvious fitness and conditioning was great to see. 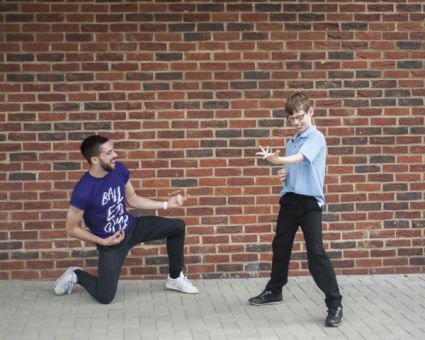 Here are some more pictures… BalletBoyz are now out on tour, catch up with them if you can. Traditionally you might visit somewhere like the Yorkshire Sculpture Park, or the Hepworth museum in Wakefield, for example, to experience the art and enjoy a day out with friends and family. You would normally visit these attractions with a clear idea of what to expect and an agenda pre-determined by your own research, knowledge and the advertising and marketing material. This will have captured your imagination to motivate you to go and get a close-up view of the exhibits to satisfy your curiosity. I recently visited the Kunsthaus museum in Zurich, I had an idea what to expect but was surprised and delighted by the works of art which were new to me; sculptures, paintings, photographs, showing a wider perspective of the human form I hadn’t seen before. The methods and manufacture techniques were familiar but the results were very different, making for a really interesting visit. 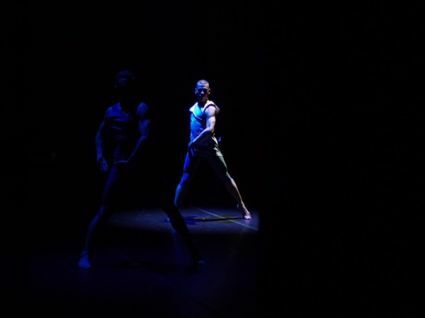 The BalletBoyz evening was equally an eye-opening experience in a very different way. So, what’s this got to do with “the Meaning of Physicality”? Well, the purpose of this blog and the platform we have developed at 7th Wave is to help make these life experiences and coincidences become a major part of creating an environment for healthy living for each and one of us. Reading some of my previous blogs the subjects might seem random and un-connected but I hope I have managed to convey a central message that promotes health, physical and mental wellbeing as a key to one’s future success. For both the young and old. I find a real satisfaction in pushing one’s physical limits when competing or just enjoying some outdoor exercise. In my case, that would be sailing, running and sometime mountaineering depending on the season. Any exercise undertaken requires a basic fitness and this is the mantra behind a lot of the blogs to date. If we all could establish a fitness habit for life many of the health issues wouldn’t exist, or go away. In fact, many people would feel a lot better about themselves, I believe. 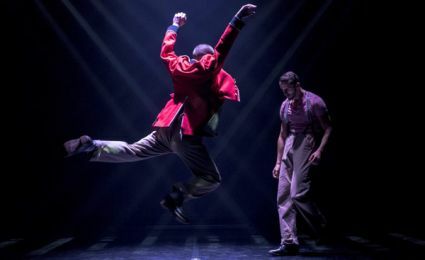 That doesn't mean to say that what I do and say is everybody’s’ cup of tea and that’s why I found the BalletBoyZ performance so refreshing. All sorts of disciplines brought together to create a fantastic show. 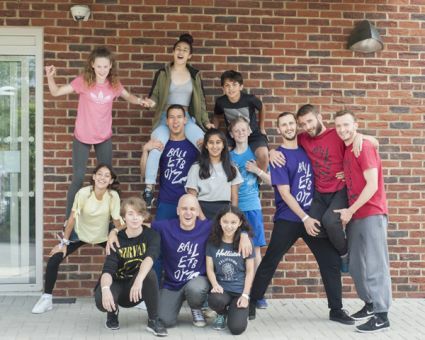 Above all this, the BalletBoyz spend considerable time introducing dance to schools and running workshops to introduce dance and physical well-being to groups of youngsters from all backgrounds and all abilities. Anybody else had a similar experience? Would be great to hear from you and I will share in the next blog.